Lucite or plexiglass box is used to showcase art pieces or objects that require a modern or frameless look. Although a Plexi Box is a potential candidate for displaying a modern piece. lucite boxes are used to Preserve and showcase 3 dimensional Objects such as wedding dresses and bouquets Kimonos, Artifacts, Trophies, Jerseys, Violins etc. Every Plexi display box manufactured is meticulously designed, Welded, Beveled and Polished. It reflects decades of fine craftsmanship that is the Trademark of Frame Masters. Sandwich Plexi is used to display Photographs, Documents, Watercolors and fine works of art. 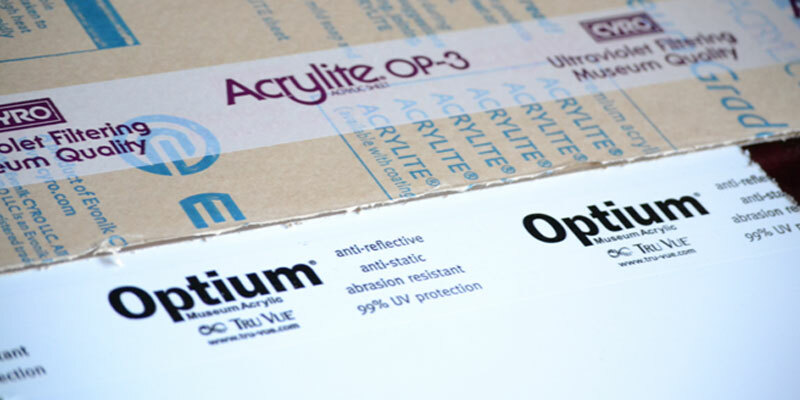 Non-Glare or Optium Lucites display boxes are a current favorit that also offers 99% U.V. filtration. Clear U.V filtering Acrylic is always recommended when showcasing a fine art piece at an affordable price. We design and fabricate exceptional custom museum Plexi Box Displays that are well constructed and aesthetically pleasing to the viewer and the environment in which they are showcased. Call us at 323 466 9999 for an appointment with one of our expert designers with a minimum of 25 years experience. Small Plexi box for an object with base. Polished edges and black base.